I have to admit, before I went to the Malaysian island of Langkawi, I didn’t really know a lot about it. Neither do many other people though, its position on the fringes of the border between Thailand and Malaysia often eluding many travellers. In this case, ignorance really was bliss. As soon as I stepped off the plane, I was met with lush jungle wherever I turned, a wild land that certainly felt undiscovered. The resort I stayed at, the Ritz-Carlton Langkawi, definitely embraced its rainforest setting, its villas perfectly nestled within the trees. 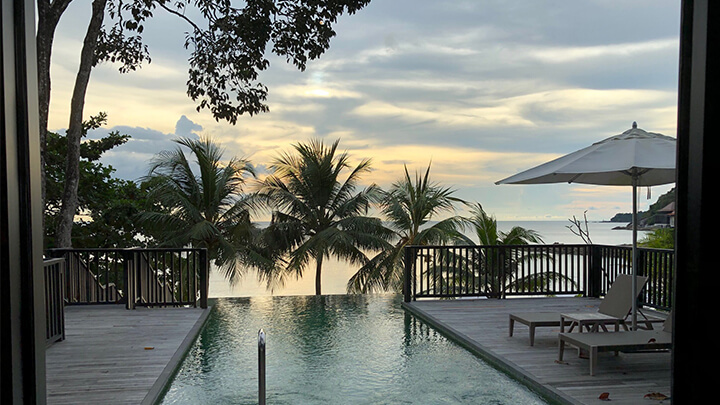 Whenever I made my way around the resort, I felt like I was walking among thick virgin jungle, soundtracked by the chatters of dusky leaf monkeys and macaques. Langkawi was an island I was eager to explore. I’d pored over images of this emerald drop floating in a sea of blue on Google and it had ignited my wanderlust. Now I was among it all, I wasn’t disappointed. I went on a mangrove cruise, which snaked along the Kilim River as we kept a keen eye out for crab-eating macaques lolling about on its rocky banks. Every now and then, we gasped as a white-bellied sea eagle or brahminy kite flew overhead, swooping down to the water once it caught a glimpse of movement. A stop at a cave hid a large population of Malaysian fruit bats clinging to the roof of the cave as they slept, which was a spectacular sight. 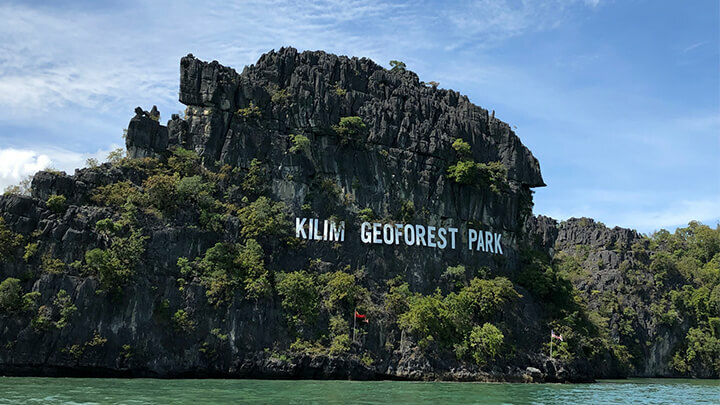 Back on board, we emerged out of the river’s mouth in the Strait of Malacca to a cliff-hugging sign reading Kilim Geoforest Park. It was very much made in the style of the Hollywood sign and while it seemed a little out of place, it reminded me of the wildlife stars I’d just encountered. Another highlight was the Langkawi Cable Car. Climbing over 2,200ft up Gunung Machinchang, it’s the steepest cable car in the world. I probably wasn’t ready for how steep it really was but it was a fantastic experience to soar high about the green mountain slopes in just a little box! 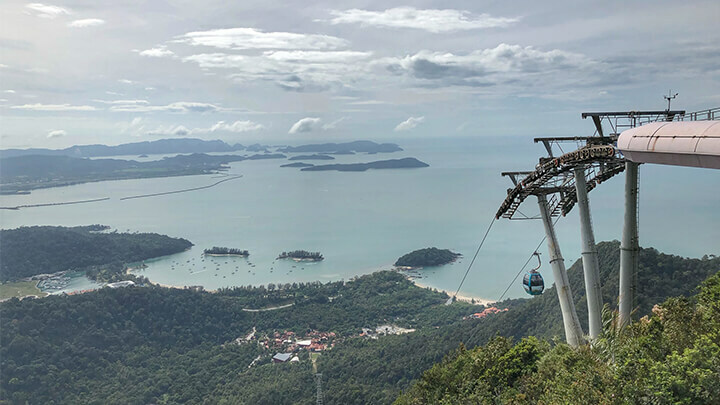 The view from the top was epic and you could see right across the island, the turquoise sea beyond and the tiny isles just off the coast of Langkawi. At the top, I also went on the curving Langkawi Sky Bridge, an architectural marvel in itself but one that serves up more fine views. I even braved its glass sections, where you could peer down on the valley below or sit on for a great photo opportunity. The leafy isles I’d spotted from the cable car experience were also great for visiting too, with an island-hopping tour giving me a taste of the best. Pulau Beras Basah was a great beach spot and the snorkelling was incredible in the crystal-clear waters. However, I’m a sucker when it comes to legendary stories and Pulau Dayang Bunting came with local folklore in spades. Translating as Island of the Pregnant Maiden, it takes its name from the formation of mountains appearing to look like a reclining pregnant woman. While to some that may be a bit of a loose connection, it’s said that bathing in the island’s interior lake boosts your fertility. I didn’t manage to take a dip so won’t ever know if the myth is true!